Home > News Articles > Win two dozen donuts for National Donut Day! Win two dozen donuts for National Donut Day! It’s #NationalDonutDay! 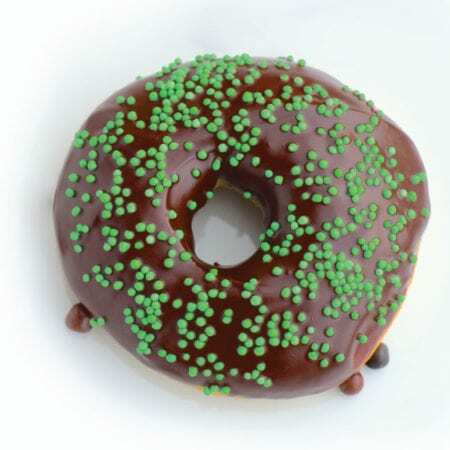 Let’s celebrate by liking us on Facebook and posting your favorite donut flavor in the comments. You’ll get the chance to win two dozen donuts from Donut King in Kensington! Share the post for an extra chance to win! * No purchase is necessary to enter, and a purchase will not improve your chances of winning. Entrant must be a legal resident of the U.S. and 18 years of age or older. Membership in Signal Financial Federal Credit Union not required for sweepstakes entry. To enter contest, “like” Signal Financial Federal Credit Union on Facebook at https://www.facebook.com/SignalFinancialFCU, and post your favorite donut flavor to Signal Financial FCU’s Facebook page. If you share the post via Facebook or Instagram you will automatically be entered for an extra chance to win. Entries will be accepted only on June 1, 2018 until 11:59pmEST. Winner will be chosen at random. For winner information, call 301-933-9100 ext. 334. The prize winner will be awarded two dozen donuts, a value of $17.98 (US dollars). See: https://donutkingcafeanddeli.weebly.com/ for more information about the prize. Winner will be contacted via Facebook or Instagram on June 4th, 2018. If winner does not respond within 1 day after initial notification of winning, their entry will be disqualified and a new winner will be chosen. Prize is not transferable or assignable. Acceptance of prize constitutes permission to use winner’s name and likeness for publicity purposes and without additional compensation (winner will be required to sign a separate advertising consent form). Void where prohibited. All federal, state, and local laws apply. Odds of winning are dependent on the number of entries received.